New Zealand luxury lodges Kauri Cliffs and The Farm at Cape Kidnappers will host four Winter Food & Wine Weekends bringing a fantastic line-up of guest chefs, winemakers and wine authorities to the Relais & Chateaux properties in 2010. The series kicks of on Saturday July 24 at The Farm at Cape Kidnappers in Hawke’s Bay New Zealand, when Melbourne based chef Josh Emett teams with Felton Road Wines’ Blair Walter for an indulgent dinner matched with prestige wines. And this is a great story! Josh Emett and Blair Walter grew up on nearby farms but their careers took them in different directions. After years in New York at the helm of Gordon Ramsay’s eponymous restaurant, Josh is in Melbourne to open Maze for Ramsay in the Crown complex. Blair Walter has stayed closer to home, in Central Otago, building his winery Felton Road into one of the world’s most sought after wine labels. This special dinner will combine Josh’s passion for cooking with Blair’s Felton Road wines. Australia’s foremost wine authority James Halliday and his New Zealand counterpart Bob Campbell M.W. return to Cape Kidnappers for this fabulous wine challenge! James and Bob will conduct the ultimate ‘taste-off’, a fabulously friendly rivalry and celebration of pinot - showcasing the finest of Australian and New Zealand Pinot Noir. A must for pinot fanatics! Peter Gilmore is Executive Chef at Quay in Sydney. Quay has received seven consecutive ‘Three Chef’s Hat’ awards from the Sydney Morning Herald’s ‘Good Food Guide’, and made culinary history in ‘09 by taking out four top awards in the same year, including ‘Restaurant Of The Year ‘09’ for both The Sydney Morning Herald and Australian Gourmet Traveller ’09 ‘Restaurant Guide’; He won these awards again in ‘10, and debuted in the coveted S. Pellegrino’s ‘World’s 50 Best Restaurants’ list. Peter’s food will be matched to wines by Duncan Forsyth from boutique Central Otago winery – Mount Edward. The finale to the series is a must for champagne lovers – Join Ludovic De Lageard of Champagne Laurent - Perrier for a sublime five course dinner matched with champagnes from this famed house. Founded in 1812 in Tours-Sur-Marne, about an hour’s drive from Paris, Laurent-Perrier is undoubtedly one of France’s great champagne houses and synonymous with style and celebration - and this weekend promises both! Ludovic will also conduct a tutored champagne tasting on Saturday afternoon. All weekends allow ample free time for guests to enjoy the many leisure options available at these two luxury properties. World class golf courses, Day Spas, scenic walks or venture further a field for fishing, winery visits, and more, the Winter Wine Weekends offer a range of activities in the one inclusive price. The price for each weekend is $800NZ per person* (double occupancy) per night and includes luxury accommodation, degustation dinner with matched wines, tutored wine tasting, full breakfast and choice of a round of golf or a 50 minute massage in the Day Spa. Boutique South Australian winery, Brackenwood Vineyard, is having some success with its unique Cellar Door in the heart of Willunga, which offers 'Wine Flights' as well as traditional wine tastings. The cellar door is one of the few in South Australia to be located in a prominent country high street location and adds to the experience of a visit to the Southern Vales. Visitors to the cellar door are given the opportunity to compare and contrast Brackenwood Wines and enjoy them with carefully selected and handcrafted South Australian foods. The food adds a further dimension to the experience by enhancing and revealing even deeper subtleties within the wines. Three 'Flights' have been developed to cater for different tastes – a White Wine Flight, Red Wine Flight and Chocolate Flight. The White Wine Flight features a 2008 Riesling matched with Marinated Artichoke, 2009 Sauvignon Blanc with Adelaide Hills Goats Cheese and 2007 Chardonnay with Smoked Trout. The Red Wine Flight features a 2009 MC Syrah matched with Venison Pate, 2008 Pinot Noir with Smoked Duck and 2006 Shiraz with Smoked Kangaroo. The Chocolate Flight features a 2008 Sparkling Riesling with White Chocolate, 2005 Sparkling Shiraz with Dark Chocolate and Red Berries and 2006 RW Shiraz, Amarone style, with Bitter Chocolate Truffle. The Brackenwood Cellar Door is located in an 1860's heritage building, which was originally the local butcher's store. The cellar door comprises two main areas – a traditional tasting room with a bar made from reclaimed timber and a main room with a vaulted ceiling and fireplace. The Brackenwood Vineyard is just 7 kilometres from the cellar door in nearby Hope Forest. A former deer farm, where a handful of deer still remain, the vineyard is set within the southern section of the Adelaide Hills wine region. The vineyard was purchased in 2002 by the Nagel family. Over the last 7 years, the family has made significant viticultural changes to ensure the grapes being grown and the wines produced are appropriate for local climate and soil conditions (Terroir). Vineyard practices are carried out by hand including pruning and harvesting with the wines made in small batches. Brackenwood produces single vineyard wines (with the exception of the Pinot Noir, where the fruit is sourced from a neighbouring vineyard) using traditional winemaking methods. Owner and winemaker Damon Nagel said, "All our growing and wine production is biodynamic." "All of the wines produced by Brackenwood are made using indigenous ferments." "When the grapes are picked they're dozens of species of yeasts living on the skins that can be harnessed in production rather than adding yeast from a laboratory." "We happily describe ourselves as 'terroirists' meaning that we believe in using the 'Terroir' or local environment to dictate our growing and winemaking decisions and that includes using naturally occurring yeasts during fermentation." 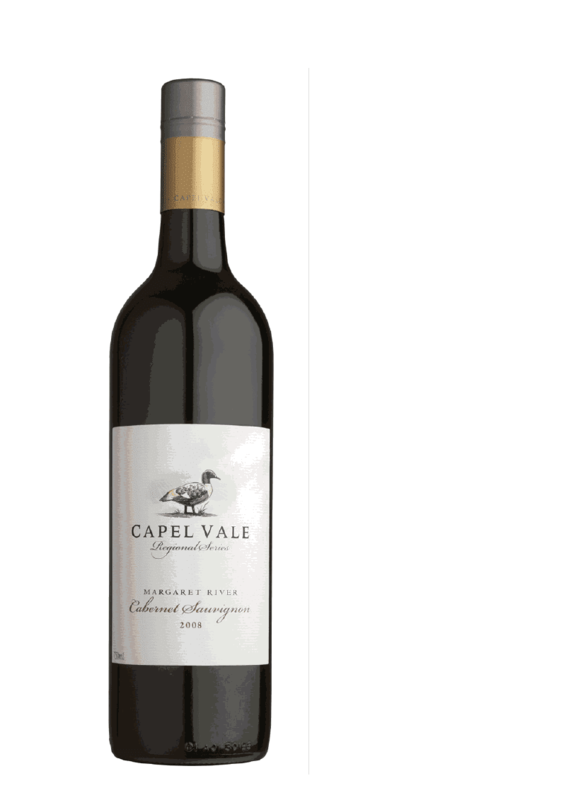 This single-minded and painstaking approach has paid dividends with the wines winning a trophy and many awards at the Adelaide and Melbourne wine shows as well as accolades from Winestate magazine. To experience a taste of Brackenwood with a Wine Flight, head to the Cellar Door, located at 17 High Street, Willunga. For Shadowfax’s end of vintage lunch, Mandozzi will prepare a three course ‘roasted’ feast using the wood fire oven and Victoria’s finest produce including Western Plains grain fed rabbit, Glenloth guinea fowl, Werribee cauliflower and Mount Zero bio-dynamic olives and olive oil. The lunch will be complemented by a range of Shadowfax’s latest releases including the 2009 Pinot Gris, 2008 Chardonnay and a selection of older wines from the cellar such as the award winning 2006 Chardonnay and 2003 One Eye Shiraz. While Shadowfax’s winemaker Matt Harrop will discuss the 2010 vintage and the characteristics of the wines being served over lunch, the Paul Rettke Trio will perform live jazz throughout the afternoon. Tickets are limited, at $90 per person inclusive of canapés, three course lunch and Shadowfax wines. For bookings contact Shadowfax’s Cellar Door on 03 9731 4420 or visit www.shadowfax.com.au. This event is part of the Melbourne Food & Wine Festival’s ‘Put Victoria on Your Plate’ promotion. AN interesting, and slightly out of the ordinary import well worth looking out for, is a 2006 Solar Veijo Crianza from the medieval Rioja Alavesa region of northern Spain – an area of just 300 square kilometres, but the country's most famous and prestigious wine region. Wines labelled Crianza must be at least two years old and have spent at least twelve months in oak barrels. In the case of the Solar Veijo Crianza, the wine is 100 per cent Tempranillo and actually had fifteen months in American and French oak barrels before being matured for a further twelve months prior to release. 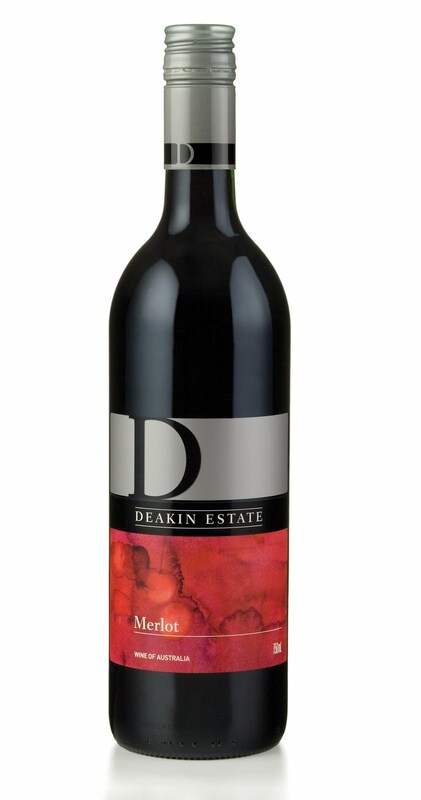 Aromas of red forest fruits and sour cherries follow through on the palate with blackberry fruit flavours and slightly smoky tannins as well. Pay $30 and ask your local Continental deli if they've some Iberian cured, acorn-fed jamon (ham) and a crusty sourdough that will make a perfect match for a leisurely Sunday lunch. ONE FOR LUNCH: THE Wairau Valley is a fascinating sub-region of New Zealand's renowned Marlborough, with producers here coming up with tempting Sauvignon Blancs that are not only flavoursome, but well-priced too. Matthew Mitchell and John van der Linden are typical of winemaker and viticultural teams in the Valley, who between them coax the best from the soil, the local micro-climate and their ultimate fruit to come up with a winning drop. Their 2009 Braided River Sauvignon Blanc has wonderful hallmark Marlborough characteristics of upfront asparagus, red bell pepper and lime juice flavours, coupled with signature cool-climate zesty acid. 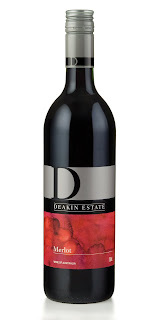 At $18.99 this is a delightful wine to enjoy with a home-made vegetable quiche, or a seafood basket of crumbed prawns, scallops, mussels and white-fleshed fish pieces. A NICE choice with vegetable quiche or a seafood basket. PERFECT with Iberian cured jamon (ham) and a crusty sourdough.